Our sizing fit is the perfect process to go through before purchasing a new or used bike. We help walk you through the sometimes confusing and overwhelming process of determining which bicycle size and style best suits your personal body type and cycling goals. Our in-store EXIT Fit Bike can replicate the fit of any bicycle on the market by referencing a manufacturer's published geometry data. We have a deep selection of aerobars and saddles to mimic the feel of most bikes on the market. 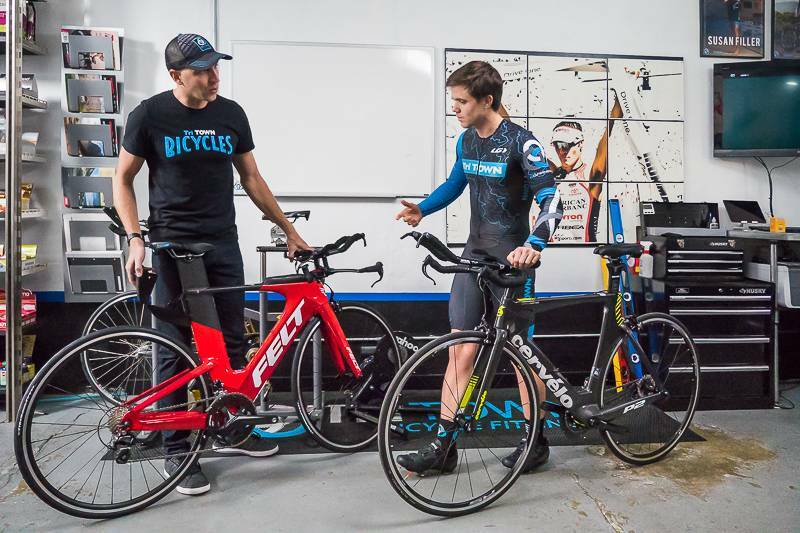 This is a particularly great process to go through before special ordering a bicycle, and your fitting fee is applied directly to the purchase of a new bike from us. If you decide to purchase a bike somewhere else (either new or used), we can complete the fit on your new bike for an additional $100 (includes everything in the Professional Fit). New bike sizing takes approximately 1.5 hours. Antonio Gonzalez took the time to listen and help me work on my bike fit. He's extremely knowledgeable and understanding. 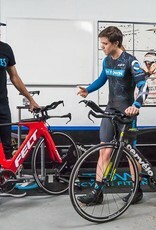 I would highly recommend his services to anyone that is dialing in their bike performance.